Most Valuable Player: Tom Brady, Quarterback, New England Patriots. There is no debate that Brady is this season's MVP. Many people are in support of the dynamic dual threat that Michael Vick brings to the Eagles, but Brady's performances this season have been different class. Brady has led the leagues most potent offense with his accuracy and leadership on the way to a record breaking year. Other Considerations: Michael Vick of the Eagles. Defensive Player of the Year: Ndamukong Suh, Defensive Tackle, Detroit Lions. This may be a controversial choice for many people who believe that the award should go to Clay Matthews or Ed Reed for their outstanding playmaking this year. Suh however has been so good that he has completely changed the attitude in Detroit. He first showed off his mean streak during the preseason by attempting to decapitate Browns' quarterback Jake Delhomme. Suh's nastiness was only matched by his performances. He recorded 10 sacks, 1 interception, 1 forced fumble and 66 tackles to go along with a defensive touchdown during the season. Suh's 10 sacks are incredible when you consider he is a defensive tackle that is guaranteed to be double teamed on every play and the Lions' secondary did not provide any coverage sacks so he had to be quick. Other Considerations: Clay Matthews of the Packers. Ed Reed of the Ravens. Troy Polamalu of the Steelers. Offensive Player of the Year: Tom Brady, Quarterback, New England Patriots. Often in the NFL the player that wins MVP will not be under consideration for offensive player of the year however I do not agree with that notion. Brady has been the best player in the league so naturally he was the best player on offense as well as he finished the season with 3'900 yards with 36 touchdowns to only 4 interceptions. Other Considerations: Arian Foster of the Texans. Philip Rivers of the Chargers. Roddy White of the Falcons. Michael Vick of the Eagles. 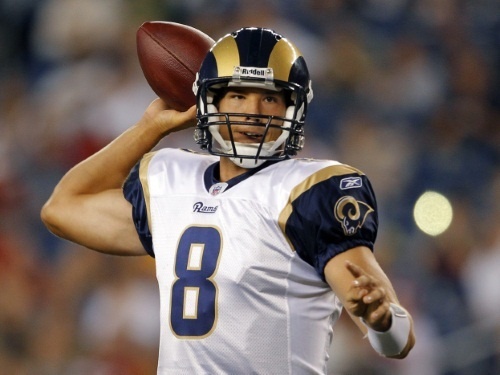 Offensive Rookie of the Year: Sam Bradford, Quarterback, St.Louis Rams. The debate whether to start Sam Bradford instantly for the Rams turned out to be an easy choice. Bradford's brilliant performances started during the preseason and never stopped. Being the number 1 pick in the draft, Bradford knew that he would not be working with the most talented players on offense but then he lost Donnie Avery and Mark Clayton to knee injuries for the year to worsen matters. Bradford made plays all year without a legitimate first choice pairing at receiver or a standout tight end. Other Considerations: Maurkice Pouncey of the Steelers. Dez Bryant of the Cowboys. Rodger Saffold of the Rams. 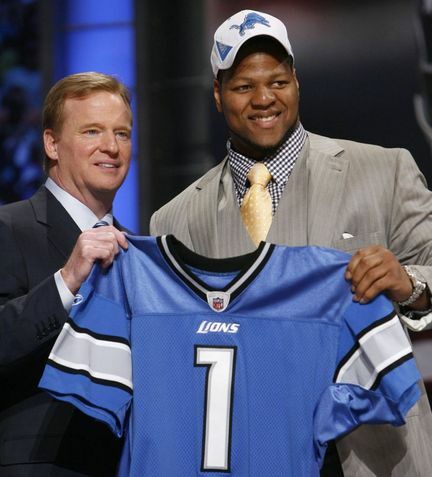 Defensive Rookie of the Year: Ndamukong Suh, Defensive Tackle, Detroit Lions. Suh is the obvious choice for rookie of the year after outperforming his fellow veterans throughout the league. Other Considerations: Devin McCourty of the Patriots. Tyson Alualu of the Jaguars. Joe Haden of the Browns. Comeback Player of the Year: Michael Vick, Quarterback, Philadelphia Eagles. Vick's assault on NFL defenses has been amazing this year. Vick came into the season as the backup in Philadelphia behind Kevin Kolb. After gaining his chance in the first game against Green Bay he never looked back. Vick's story is well documented as he went from franchise quarterback in Atlanta to prison dweller for running a dog fighting ring in his home. Whether you appreciate Vick or not as a person you cannot deny his ability on the field. He has come back to the league a better player than he ever was. His passing ability from the pocket has vaulted the Eagles offense to one of the best in the league, allowing receivers DeSean Jackson and Jeremy Maclin to flourish. Other Considerations: Brian Urlacher of the Bears. Brandon Lloyd of the Broncos. EJ Henderson of the Vikings. 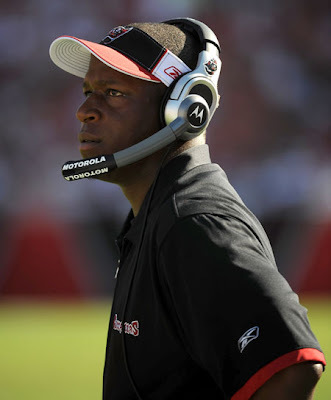 Coach of the Year: Raheem Morris of the Buccaneers/Steve Spagnuolo of the Rams. Neither Morris' Buccaneers or Spagnuolo's Rams were expected to do anything more than fill out fixtures this season. Both teams were coming off losing seasons with young quarterbacks at the helm of their respective teams. 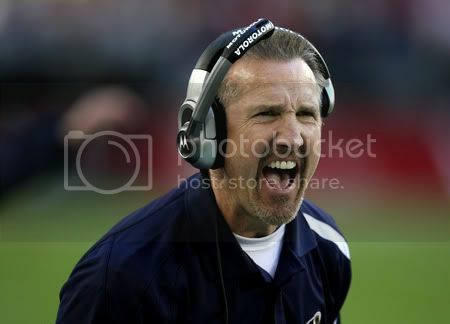 Both Morris and Spagnuolo have had similar impressions on their teams as they got brilliant performances from their young stars and improved the defenses vastly from the season before. Other Considerations: Bill Belichick of the Patriots. Mike Tomlin of the Steelers. Free Agent Signing of the Year: Julius Peppers, Defensive End, Chicago Bears. I dislike giving this award to the biggest and most expensive acquisition of the offseason however Peppers has performed to an all-pro level in Chicago. He was one of the biggest reasons the Bears won the NFC North. Other Considerations: Karlos Dansby to the Dolphins. Thomas Jones to the Chiefs. Danny Woodhead to the Patriots. Trade acquisition of the Year:Peyton Hillis from the Broncos to the Browns. The Browns received Peyton Hillis along with draft selections for Brady Quinn who turned into the third string quarterback in Denver. Hillis was the focal point of the Browns attack finishing the year with 1'177 yards rushing and ranked second on the team with 61 receptions. Other Considerations: Brandon Marshall to the Dolphins. Deion Branch to the Patriots. Rob Sims to the Lions.